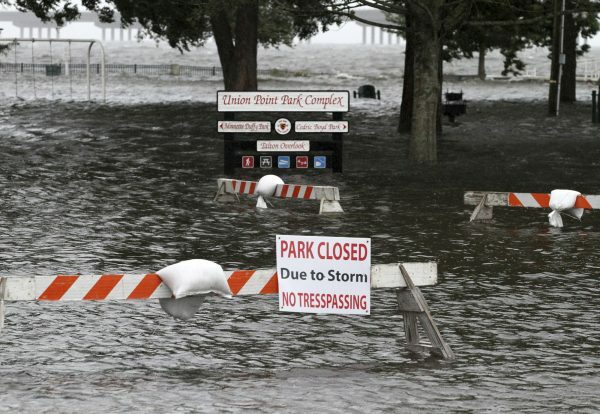 At least 150 residents in New Bern, North Carolina, were still waiting to be rescued as Hurricane Florence made landfall, forcing a life-threatening storm surge of floodwater inland and shredding structures in its path. “We have 2 out-of-state FEMA teams here for swift water rescue. More are on the way to help us. WE ARE COMING TO GET YOU,” authorities in New Bern tweeted at 8:27 a.m. on Sept. 14. By about 5 a.m. on Friday, some 200 people had already been rescued been rescued, according to Colleen Roberts, a city public information officer, Fox News reported. Reports have been received of major structural damage to homes and businesses in Onslow County, according to The Weather Channel. 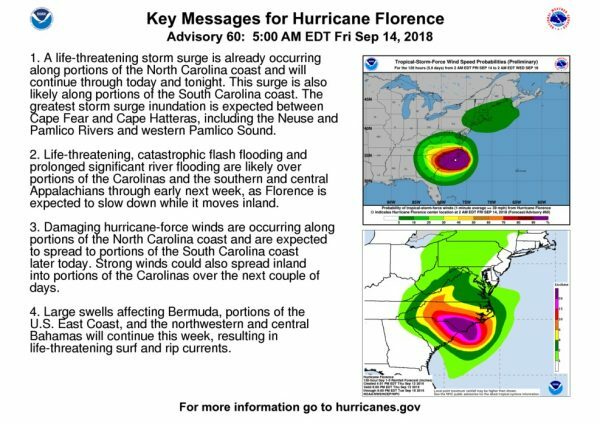 Hurricane Florence is set to inundate almost all of North Carolina in several feet of water, Gov. 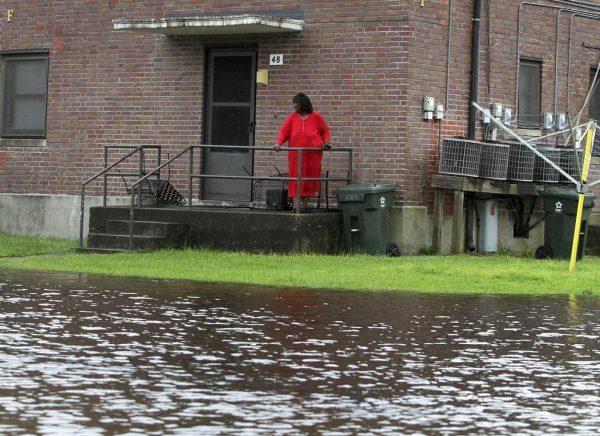 Roy Cooper told a news conference, while National Weather Service forecaster Brandon Locklear predicted up to eight months’ worth of rain in two or three days. Coastal streets flowed with frothy ocean water, and more than 500,000 homes and businesses were without power, mostly in North Carolina, according to poweroutage.us, which tracks the nation’s electrical grid. 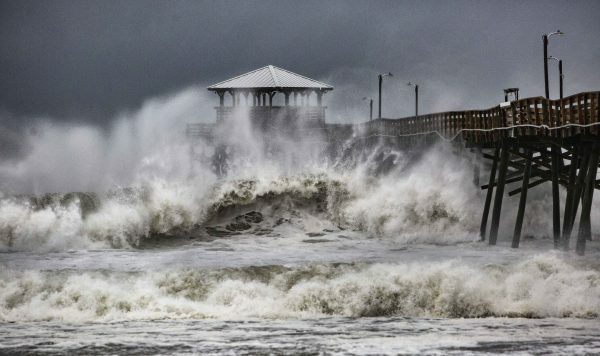 “Damaging hurricane-force winds are occurring along portions of the North Carolina coast and are expected to spread to portions of the South Carolina coast” later on Friday it said..
About 10 million people could be affected by the storm and more than a million were ordered to evacuate the coasts of the Carolinas and Virginia, jamming westbound roads and highways for miles. At least 12,000 people have taken refuge in 126 emergency shelters with more facilities being opened. The NHC said the threat of tornadoes was increasing as Florence neared shore and South Carolina Gov. Henry McMaster said the heavy rain could trigger landslides in the west of his state. Heavy rains were forecast to extend into the Appalachian Mountains, affecting parts of Alabama, Tennessee, Kentucky, and West Virginia. Emergency declarations were in force in Georgia, the Carolinas, Virginia, Maryland, and the District of Columbia.